Vivatta Whole Wheat Flour Puttu Recipe is a twist to Puttu recipe which is unique to Kerala. It is one of the staple dish prepared for breakfast in many households on day to day basis. 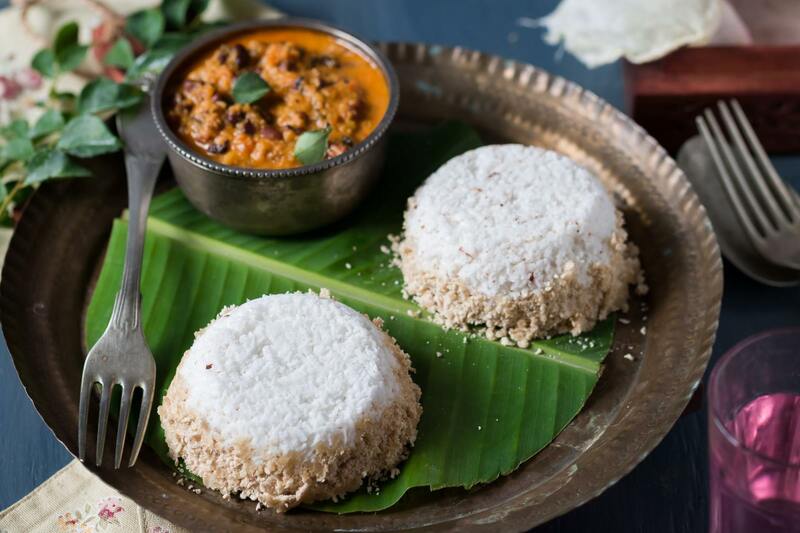 Being steamed and prepared without oil puts the ‘puttu’ on the list of healthy, non-fat dishes. There are many variations to this dish; some prepare it with Ragi that makes it very nutritious, diabetic friendly dish. Usually ‘puttu’ is prepared with rice powder. To make puttu a little more interesting, I have used Vivatta premium chakki atta to make wheat flour puttu. This 5 ingredient wheat flour puttu turns out super tasty and can be prepared in less than 30 minutes. Now doesn’t that sound interesting enough to try this recipe? Go ahead give it a try. Serve Vivatta Whole Wheat Flour Puttu with Kerala Kadala Curry Recipe (Spicy Chickpeas in Coconut Curry) or bananas and a dollop of ghee for a yummy breakfast.